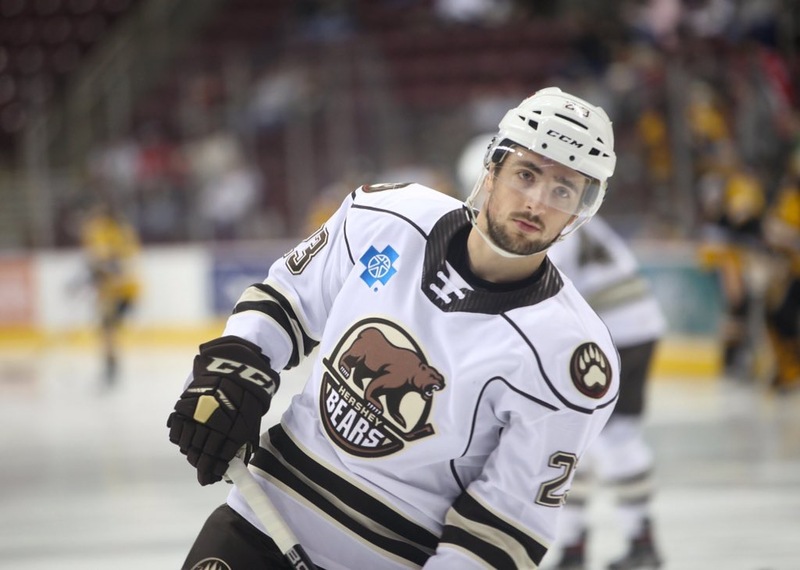 The Hershey Bears announced today that forward Grant Besse has been re-assigned to the club’s ECHL affiliate, the South Carolina Stingrays. The move likely signals improvements to the health of the Bears’ blueline. In addition, the Capitals re-assigned Tyler Lewington to the Bears on December 31. Besse, 24, appeared in seven games with the Bears this season, scoring two goals. He struck for his first goal as a member of the Chocolate and White on Dec. 16 at Springfield, and also added a marker on Dec. 28 at Wilkes-Barre/Scranton. The forward has posted 24 points (12 goals, 12 assists) in 20 games with the Stingrays this season. He’s collected eight multi-point games on the season, and has totaled four power play goals. Besse has 86 points (42 goals, 44 assists) in 82 career ECHL games with Norfolk and South Carolina. This entry was posted in News and tagged Grant Besse, Jon Sorensen, South Carolina Stingrays. Bookmark the permalink.